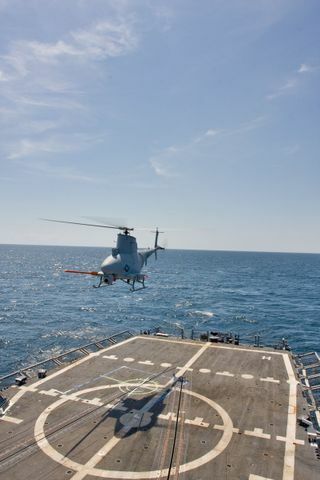 SAN DIEGO, May 5, 2009 -- A Northrop Grumman Corporation-developed (NYSE:NOC) MQ-8B Fire Scout Vertical Takeoff and Landing Tactical Unmanned Aerial Vehicle (VTUAV) successfully completed fully autonomous flight operations onboard the USS McInerney (FFG-8) frigate. These operations marked the first time that the Navy operated an autonomous VTUAV aboard a surface combatant vessel. 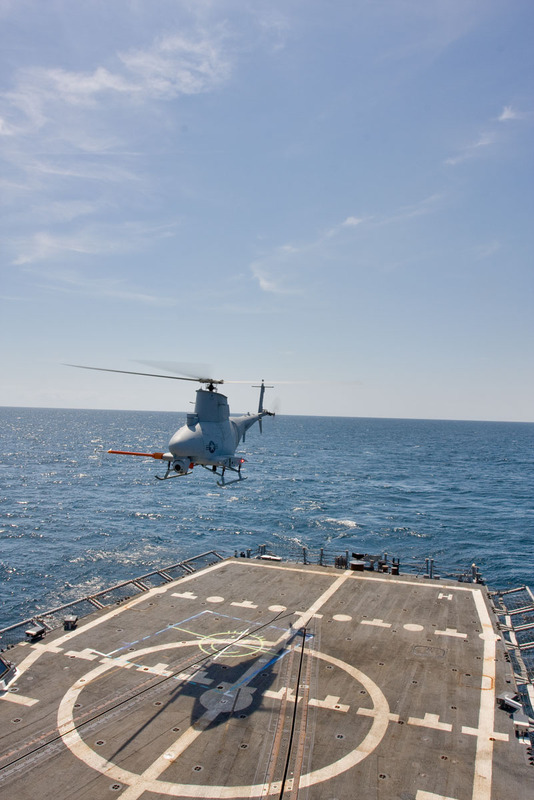 This follows at-sea operations aboard the USS Nashville (LPD-13), which included the first autonomous ship landings by a U.S. Navy Unmanned Aerial Vehicle (UAV). This brings the Fire Scout program closer to Operational Evaluation (OpEval) status and eventually to operational status in the fleet. Test flights and OpEval on the USS McInerney are part of the Navy's risk reduction plan for the VTUAV program in anticipation of eventual test and deployment onboard a Littoral Combat Ship. "The Fire Scout has demonstrated in the past the ability to provide intelligence, reconnaissance and surveillance support from a land-based ground control station. This shipboard operation marks a major milestone in Fire Scout's development cycle," said Capt. Tim Dunigan, Navy VTUAV Program Manager. "When at sea the most important attribute of a Naval aircraft is to integrate and function well within the shipboard environment and Fire Scout successfully demonstrated that." The Fire Scout embarked aboard the guided-missile frigate USS McInerney, an Oliver Hazard Perry class frigate, while in port for operational fit checks and ship integration testing on Dec. 10, 2008. The Fire Scout is slated to deploy aboard USS McInerney during its next counter-narcotics trafficking deployment later this year. This current test period completed initial shipboard landings, UAV Common Auto Recovery System (UCARS) wave-offs and expanded the rotor blade engage/disengage wind limits. The Fire Scout system equipment installation on USS McInerney was validated, and all components of the system were successfully tested. Shipboard testing will continue in early May. 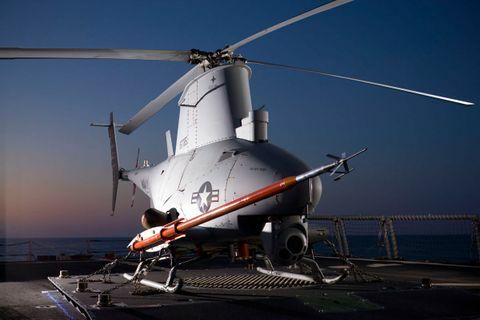 "Our ultimate goal with the Fire Scout program is to provide the fleet with unprecedented situational awareness and precision targeting support," said Doug Fronius, MQ-8B Fire Scout VTUAV program director for Northrop Grumman's Aerospace Systems sector. "Deploying with the McInerney allows us the opportunity to showcase our commitment and dedication to bringing those capabilities to the U.S. Navy as we near OpEval."